Pizza Express has teamed up with Macmillan for Snowball Dough Ball day. Everyone loves a dough ball, and everybody wants to help support those living with cancer, so Pizza Express have combined the two to bring Snowball Dough Ball Day to Sheffield. On Wednesday 22 November, Snowball Dough Balls – that’s Pizza Express’ fluffy dough balls sprinkled with icing sugar and choice of vanilla cream or salted caramel dip – will be on sale for just £1, with all proceeds donated to Macmillan Cancer Support. 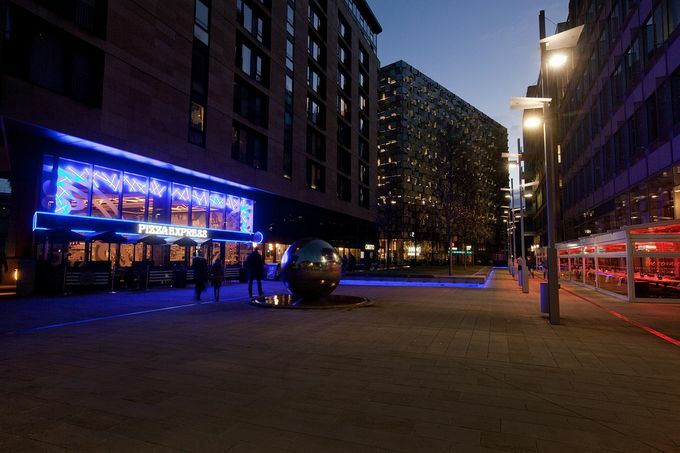 With three Pizza Express restaurants in Sheffield city centre – The Moor, St Paul’s Place and Devonshire Street – all you need to do is pick your restaurant and get stuck in to Snowballs, safe in the knowledge that by treating yourself, you’re helping to raise vital funds for people living with cancer in the UK. If 15 people enjoy Snowballs on 22 November, that £15 could pay for a Macmillan Support Worker for one hour, helping people living with cancer receive the support they need. £402 could help run a large Macmillan information and support centre for a day, helping people affected by cancer to find information and support. After dinner, why not head to a show? Nativity! The Musical is at Sheffield’s Lyceum Theatre on 22 November.